Driving from England into Wales I was in for a big surprise. While brick is big in England because they have the clay soils for making it, the big thing in Wales is rock, specifically blue slate. What can you do with rock? A. 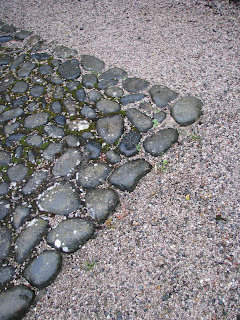 You can build rock walls such as this one at Bodysgallen Hall. 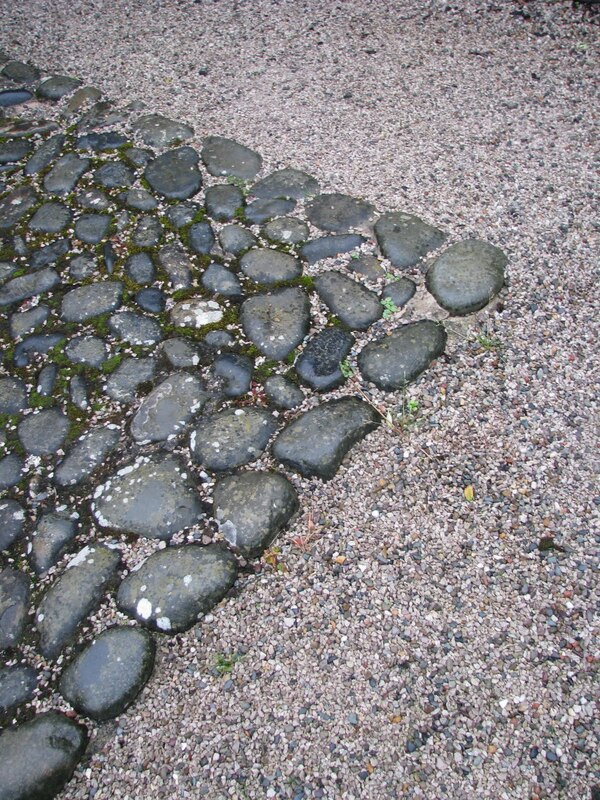 C. You can pave , make shingles or plant labels with stone.